A quartz countertop installation is one of the most popular projects in the home improvement business. This explains why new service providers appear every now and then, which presents a challenge to homeowners. Why? As more and more companies offering this service, the more tedious the process becomes for homeowners particularly in choosing a highly qualified service provider. It should be noted that a home improvement project can cost some serious amount of money. So, it is just makes sense to be careful when picking a quartz countertop company, San Diego. One cannot afford to let money go down the drain for failing to choose a highly qualified service provider. They do not have the same level of experience. Some quartz countertop companies have been in business for decades; some others have just been around for business for about a year or two. It is important to note that experience refines processes and thus, it makes sense to choose a company that has been in business longer than their competitors. Not all service providers are licensed to operate. Fly-by-night quartz countertop contractors, believe it or not, still exist these days. These types of people usually just appear at your doorstep even without you requesting for their service. Make sure that the quartz countertop company, San Diego, you hire is licensed and has the necessary certifications for the services they offer. Not all of them have the ideal number of technicians. Choose one having sufficient number of workforce. A reputable home improvement company is capable of dispatching an ideal number of workers in order to make the work more efficient. As a result, they are able to install quartz countertop as soon as possible. Not all of them offer favorable prices. Some charge way higher than the market average, so make sure that you examine the project proposal thoroughly. Comparing quotes from different service providers is one effective way to determine whether or not you are getting a good deal. Looking for a reputable quartz countertop company, San Diego? You have come to the right place. Contact us today for inquiries at (760)591-0070. You might have arrived on this page because you are planning to install a new countertop as part of your kitchen improvement project. Indeed, quartz countertops, San Diego, are one of the most preferred by many homeowners today, which is not a surprise considering the number of advantages that this particular type of material has to offer. Quartz usually (not always) is more affordable than granite, depending on the quality of stone. It is even more affordable than marble. Though the cost of quartz can vary, it is usually based on a number of factors such as the thickness of the slab, how elaborate is the design, the quality of the stone, among others. Quartz counters are made with a combination of stone and resin and this results to a very hard surface comparable to granite, but also glossy and non-porous. Quartz differs from granite since the latter is 100% natural; however, the resins and polymers utilized in the creation of quartz countertops are the components that make them completely non-porous, which means they require low maintenance. Quartz materials can also be a great choice for bathrooms. It is naturally water (and mold) resistant. However, this type of material isn’t recommended for outdoor as sunlight exposure can change the pigments drastically and may cause fading. Quartz is different from Quartzite. Despite the similarity in their names, they are not the same. Quartzite is naturally occurring and mined from earth, while Quartz is engineered. Larger pieces of quartz can make a mottled look that is similar to granite or even marble; the finer blends, however, create creamier color pallets. Have more questions about quartz countertops, San Diego? 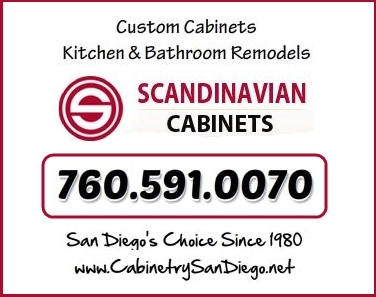 Contact us here at Scandinavian Marble Design.